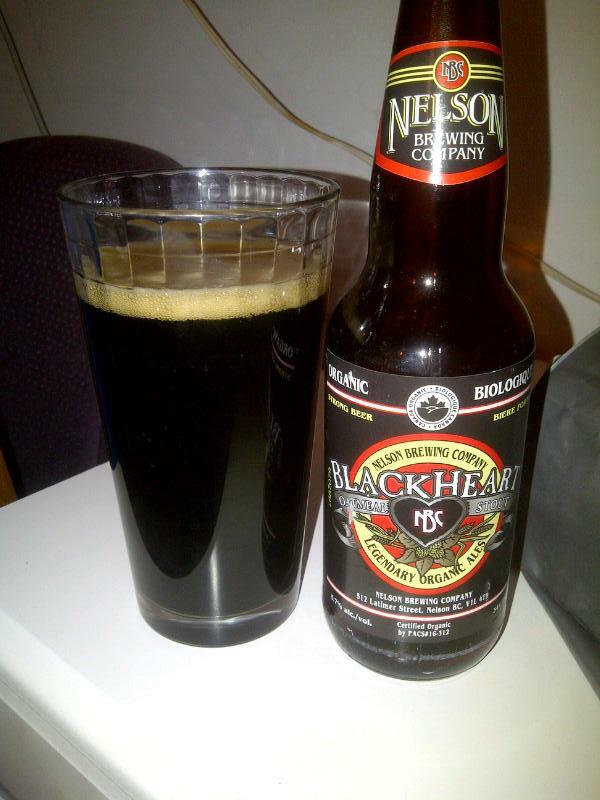 From Nelson BC’s Nelson Brewing Company comes their “Blackheart Oatmeal Stout”. The beer pours a deep brown with a tan head. The aroma is full of oatmeal, roasted malts and coffee. The flavour consists of oatmeal, roasted malts, coffee and a mild hops bitterness. The alcohol content of this brew is 5.7%. This is a tasty oatmeal stout and I will pick it up again! Ingredients: Organic Malted Barley including Organic Oats from Anita’s Organic,Chilliwack B.C., hops,water and yeast. This entry was posted in Stout and tagged bc, bitter, bitterness, canada, coffee, malt, malts, malty, mild hops, nelson, oatmeal, oatmeal stout, roasted malt, roasted malts, stout.